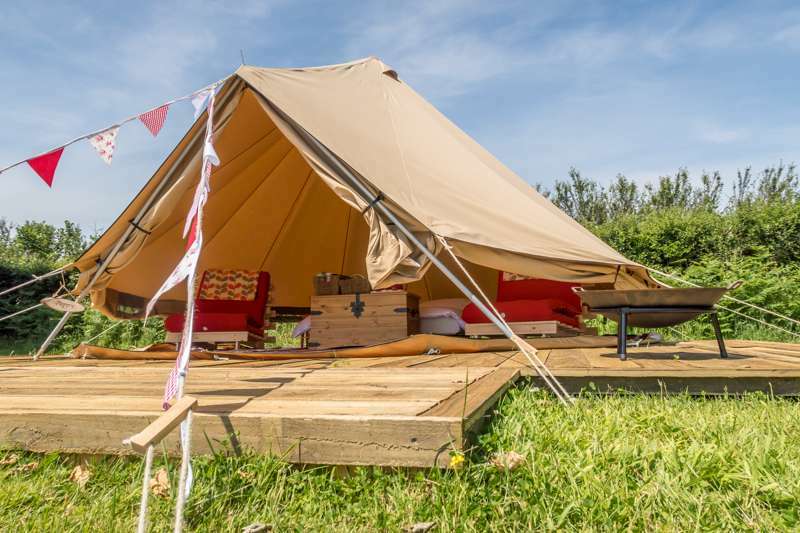 A beautifully furnished bell tent, fully equipped with everything you need to enjoy your holiday. 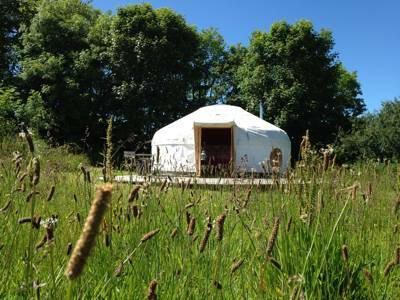 Set in 15 acres of rolling Cornish countryside and with fabulous panoramic views of the surrounding hills. Visit our onsite farm shop for a tasty breakfast or stock up on more snacks! We also have a shower and toilet block. Hot water is free and, for those requiring disabled or infant facilities, there’s also a secure wet room with baby changing facilities available too. Mena Farm is a magical place for those that appreciate nature and wildlife. 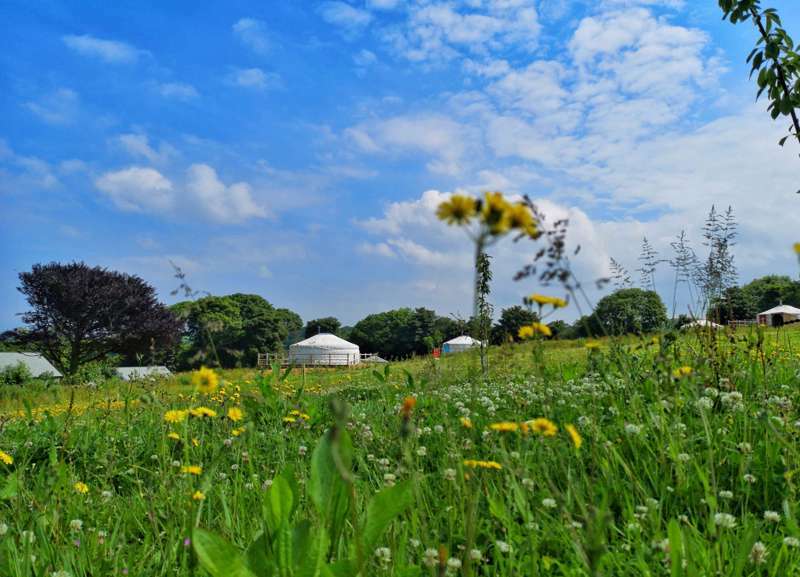 Bring your doggies, go wild camping, look out for badgers, hedgehogs, rabbits, deer, woodpeckers, kingfishers and buzzards, visit the pigs, help collect eggs from the chickens, build a den, enjoy the sunsets, go fishing for tiddlers with the kids... There is no clubhouse here, just a barn with games, books and TV for those rainy days, and there are no bright lights - perfect for star-gazing, but you'll definitely need to bring a torch with you! For latest availability and best prices for Mena Farm, please use the Date Search above. 2 shower blocks, plus a separate disabled/family shower room. Laundry and washing up facilities. Fully-licensed shop. Free WiFi around reception and 4G reception across the site. Games barn with TV lounge, pool table, air hockey, table football, ping pong, books and games. Play area with swings, slide and fort. 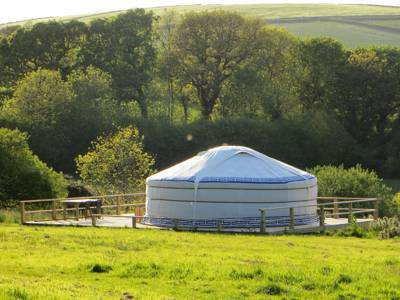 Bike hire, nature trails and guided tours of the farm – kids can help feed the animals and collecting eggs – plus 12 acres of additional farm land to explore, with chickens, pigs, streams, woodland and the lake (informal fishing £5 per day all year; license required). 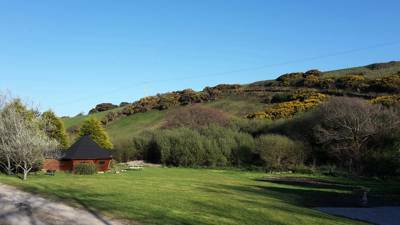 Accommodation also available in the Old Farmhouse (sleeps 6) and the Garden Room (chalet; sleeps 2). 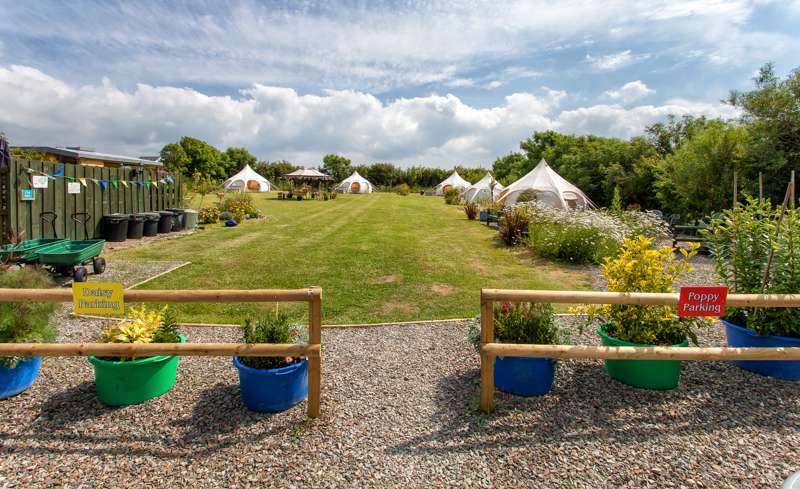 Mena Farm Campsite isn't far from Bodmin Moor and there are plenty of fantastic walking trails directly from the campsite. The farm is also near the halfway point of the Saints Way (Padstow–Fowey), a well-signed (with Celtic cross markers) 27-mile route that takes you through Little Petherick, St Breock Downs and Lanivet before joining the Fowey River near Lostwithiel for a lovely waterside stretch. 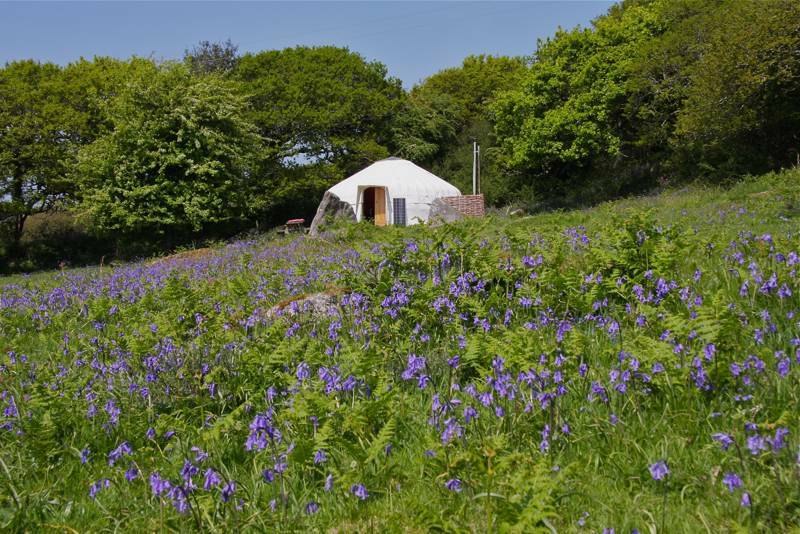 Rent bikes from the campsite to speed things along and try the Camel Trail (a spectacularly converted old railway route 3 miles from the campsite) or pedal around Cardinham Woods, 5 miles away and particularly excellent in spring. It's 3 miles to National Trust-owned Lanhydrock House (01208 265950), an imposing example of a Victorian country estate, rebuilt in the 1880s following a devastating fire. There are children’s activities, garden tours and open-air theatre in summer. It's 6 miles to the world famous Eden Project (01726 811911). The coast, meanwhile, both north and south, is around 20 minutes in the car (approx. 10 miles). Par beach is the closest in the south, while Wadebridge, at the start of the Camel Estuary, offers a gateway to the north coast. Walk or drive the 1½ miles into the village of Lanivet, home to an award-winning inn (01208 831212) as well as the excellent Welcome Stranger fish and chip restaurant (01208 831583). If you don't even want to stretch your legs that far, there is free daily fish and chip delivery to the site, plus weekly visits by local food vans and, of course, the fully-licensed shop has you well covered for alfresco drinks around the campfire. For a proper shopping trip, Bodmin boasts Sainsbury’s, Morrisons and Lidl supermarkets, as well as petrol stations, further eateries and a hospital. It also has one of the best tourist information centres in the county. Leave the A30 at the Innis Downs junction and take the turning signposted for Lanivet. Before you reach the village, you'll see the brown tourist signs for Mena Farm, simply follow these and they'll bring you directly to the site. Newquay Airport is 20 miles away and Bodmin Parkway (connected to Paddington) is 6 miles away. Car hire is available at both. Buses to St Austell and Bodmin run through the local village of Lanivet (1½ miles from the campsite). 45 pitches in total (electric hook-ups on half), with a limited number hard-standings available. 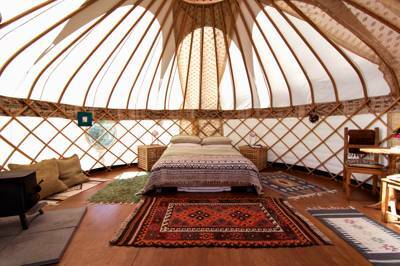 3 bell tents (sleeping 4) available for hire. 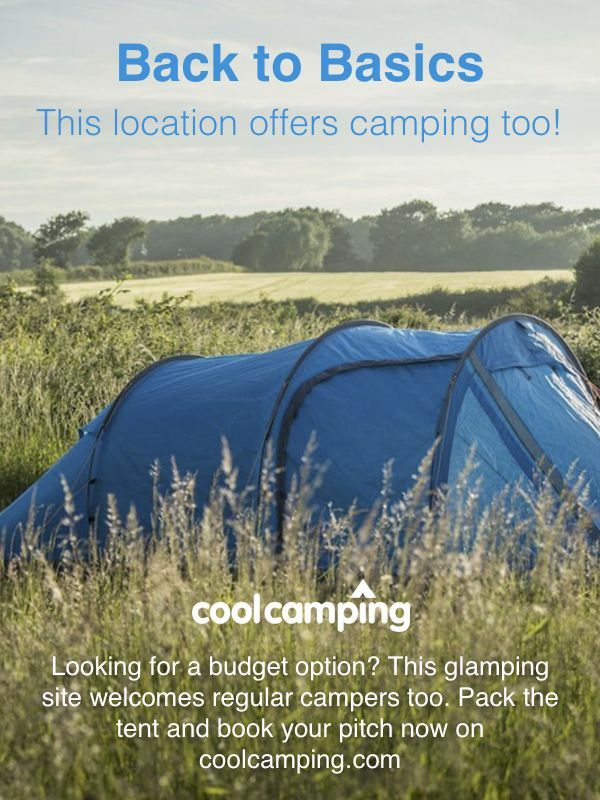 You can also go wild-camping on the lower fields (no marked pitches, electric or lighting).